That's what writing feels like right now. It's so much better when I'm in the zone. I've got to proposals to work up, and I really want them both ready before the end of August. Earlier if possible. But I do not want to send out three chapters and a synopsis while I'm feeling doubts about whether I can finish them on deadline. Argggh. I'm having such a crisis of faith. But I'll slog through. I always do. Meanwhile, to make myself feel better, how about a pretty picture? I'm a sucker for guys who are unconventionally attractive. 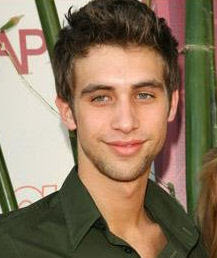 One of my current favorites is Blake Berris, who's young enough to be my son, but we just won't think about that.